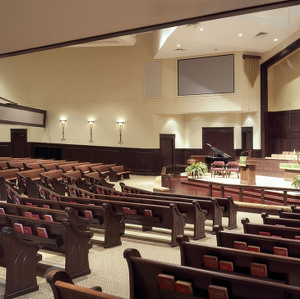 Lincoln Builders was contacted and selected to design-build this congregation’s new 20,124 square foot worship facility. Working closely with the building committee to achieve the congregation’s desired goals, the project team brought a dream to reality with this 580 seat sanctuary and support areas. High end finishes and attention to detail in the all areas of construction brings together stunning form and practical functionality.